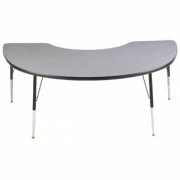 Liven up your classroom with this kidney shaped activity table. 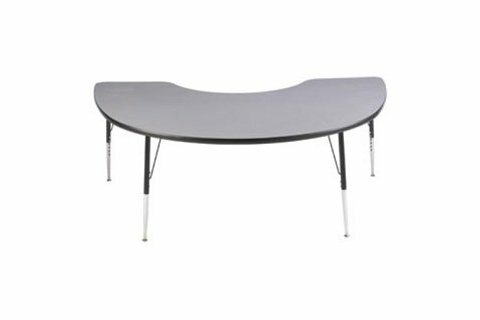 These Group Study Tables are available in a wide variety of sizes, shapes and colors that are perfect even for primary grades. High pressure laminate resists nicks, dents and scratches, wipes clean easily, and retains its fine finish, year after year! These activity classroom tables set the tone for a fun and educational experience. 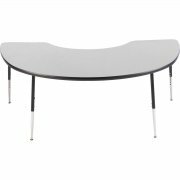 Unique Shape: The unique shape of this table makes it ideal for supervised group activities. Accommodates 6 students (up to sixth grade) and one adult. 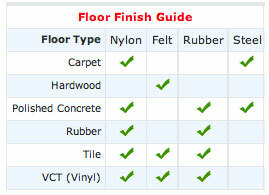 Smooth Surface: 1 1/4" thick high-pressure laminate. Warp-Resistant: Solid core of high density particle board bonded to laminate backing sheet to resist warping. Added Durability: Steel rigidity bar and triangle mounting plates provide extra strength. Strong Legs: 1 1/4" tubular steel, tapered design, with open hairpin brace for added strength. Adjustable: Height is adjustable in 1" increments. Steady: Self-leveling glides ensure wobble-free stability.